2014 Olympic Hockey Preview: Can Finland Medal For Third Straight Time? Finland has played the role of spoiler for the past two Olympic hockey tournaments, winning bronze in 2010 and silver in 2006. Though never considered among the pre-Olympic favorites, the Finns bring a tough brand of physical, two-way hockey in the North American style, blended seamlessly with speed and skill traditionally associated with the European game. In 2014, they will again be overlooked by many prognosticators going into Sochi, but their fearless game makes it impossible to avoid the possibility of them wearing medals going out for the third consecutive Olympic Games. Kiprusoff has a great deal of international success as Finland’s starting netminder during his nation’s medal runs in 2006 and 2010. 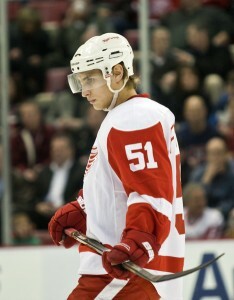 He will be 37, however, for the Sochi games. Fortunately for the Finns, they have been wildly successful in developing goalies in the past decade. Pekke Rinne is huge and agile, and though he has yet to establish himself as elite in the high-pressure games of the NHL post-season, he has been a Vezina Trophy finalist and will likely be named the starter for Finland. After an injury-plagued beginning to his career on a consistently mediocre Atlanta Thrashers team, Kari Lehtonen has begun to emerge as a top-flight goaltender for the Dallas Stars over the past two seasons. With budding NHL stars Tuuka Rask and Antti Niemi also busting into the spotlight in recent seasons, the Finns will not have anything to worry about between the pipes for many years to come. Defense is likely to be a problem for Finland. 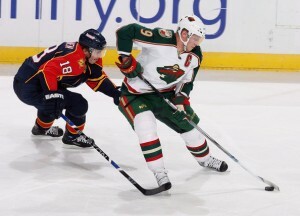 Timmonen is their best two-way option, and he will be 38 at the Sochi games. Lydman is unheralded as a near-elite shut-down defenseman, but beyond him the blueline corps will be well below average in their own end. Once thought to be Finland’s future on the back end, injuries have perennially slowed down Pitkanen. Salo has a cannon-like shot from the point, but is mediocre defending top forwards and also prone to being hurt. These four represent the only Finnish defensemen playing regular minutes for NHL clubs. Lepisto offers some offensive upside but is more of an AHL ‘tweener, while Maata is a top two-way prospect for Pittsburgh who has yet to establish himself at the professional level. The big question for the Finns is whether Selanne will return for one final Olympic games. Considered by many the greatest athlete Finland has ever produced, he is still an electrifying skater and goal-scorer at the NHL level despite his age(less) of 42. Joining him on the top scoring unit should be Mikko Koivu, an excellent two-way center for the Minnesota Wild, and Filppula, who has established himself as a very skilled scorer for Detroit. Saku Koivu does not have the size or youth of his brother, but offers a ton of skill, smarts, heart and international experience. Granlund is Finland’s brightest young hope for future hockey stardom, while Ruutu adds a great deal of grit and physicality with an under-appreciated scoring touch. On the third line, Olli Jokinen offers size and several 30+ goal seasons, pivoting the physical Leino and the speedy and all-around solid Korpikoski. Rounding out the forward cache are three solid NHL foot-soldiers in Jussi Jokinen, Bergenheim and Hartikainen. Barkov is expected to be a top-five pick in the 2013 NHL draft while Armia is Buffalo’s top offensive prospect. They are both too young to likely make a difference in 2014, but expect to see them both skating for Finland in future games. Boston Bruins fans may be upset that I left off Tuuka Rask, especially with the hot start he has enjoyed for the B’s this season. 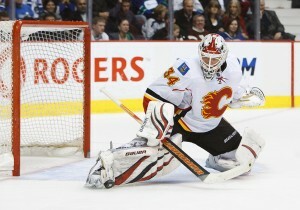 As I mentioned, Kiprusoff has previously experienced the pressure cooker of the Olympic tournament. With a questionable blueline, Rinne is no sure thing. 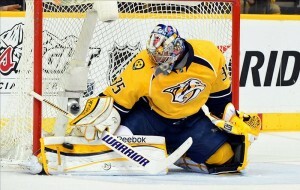 He is used to the conservative, slow games preferred by his defensively-minded Nashville Predators. 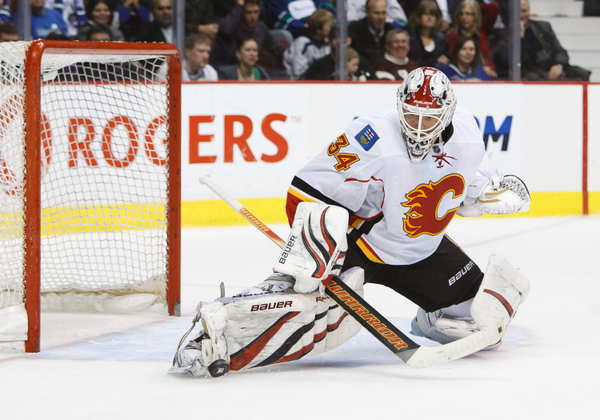 If Rinne falters in a more wide-open Olympic tournament, they will need Kiprusoff’s veteran savvy to right the ship. Finland’s placement in Group B likely will earn them a spot in the medal round. Though it is unlikely to see them finishing ahead of fellow group-member Canada, they should not have trouble placing ahead of Norway and Austria. Their excellent goaltending tandem of Rinne and Kiprusoff behind a fast and physical group of forwards should make them a challenge to play even for the elite Olympic teams of Canada, Russia, Sweden and the United States. The thin-ish Finnish defense corps, however, will ultimately inhibit them from winning a medal for the third consecutive Olympic games.